Most IP phones from Polycom work with Telzio, including the VVX series and the Soundpoint series. Telzio does not offer any auto-provisioning services for Polycom, so configuring these phones is a manual process, which is described below. Due to the fact that Polycom has hundreds of different firmware versions for their product lines, Telzio does not offer any kind of technical support on Polycom products. For a list of products that Telzio can offer full or limited technical support on, please check https://telzio.com/shop. This guide outlines setup instructions for the Polycom VVX 411, which can also be followed to configure other models in the same series. 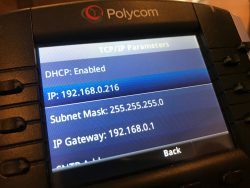 This section walks through the process of setting up a Polycom VVX IP phone for use with Telzio. If your device is brand new (in a factory sealed box), you can skip this step. Press the Home Button (the button with the little house on). Enter the administrator password, then press “Enter”. Default password is 456. Go to “Reset to Defaults”. Select “Reset to Factory”, then press “Yes” to confirm. The phone will now reboot. When it’s back up, you can proceed to the next step. All configuration of the Polycom VVX IP phone is done through a web browser. It is important that your computer and your IP phone is on the same network, otherwise you won’t be able to access the configuration page. On the phone, press the Home Button (the button with the little house on). Select “TCP/IP Parameters”, then take note of the phone’s IP address. Please note that https is required – not http. Log in as “Admin“, and use the default password “456″. The next steps will configure the phone with your user credentials. If you have not yet created a user for the phone, you should go do that now. Your user credentials are not the same as your Account Owner login for the Telzio website. From the top-menu, select “Simple Setup”. Leave the “SIP Outbound Proxy” section. The phone should now be ready for use, and you should see the Label you write in Step 5 in the phone’s display with a green checkmark. 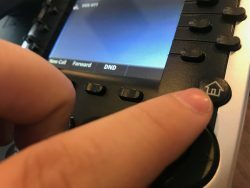 The Polycom VVX phone has the ability to display the status of other user’s in it’s display (Busy Lamp Field), so you know who’s available and who’s currently on a call. This is handy for both speed dial and when transferring calls. From the top menu, select “Utilities” and then “Line Key Configuration”. Click the “Add Line Key Function” button. Label A descriptive label for the key – for example the user’s name and/or extension. 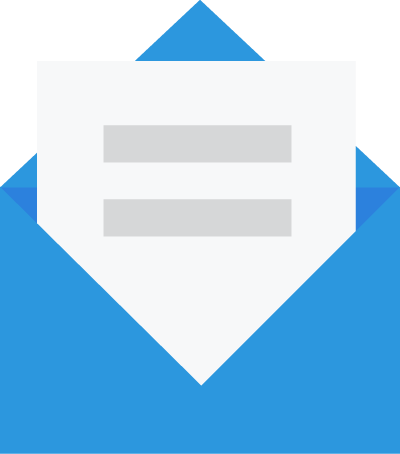 Address The username of the user you want to display status for. The username, not the extension. Repeat Steps 1 – 4, for each button you want to add.